later changed to Scott Summers. As time went on, the exact order of the membership was established. 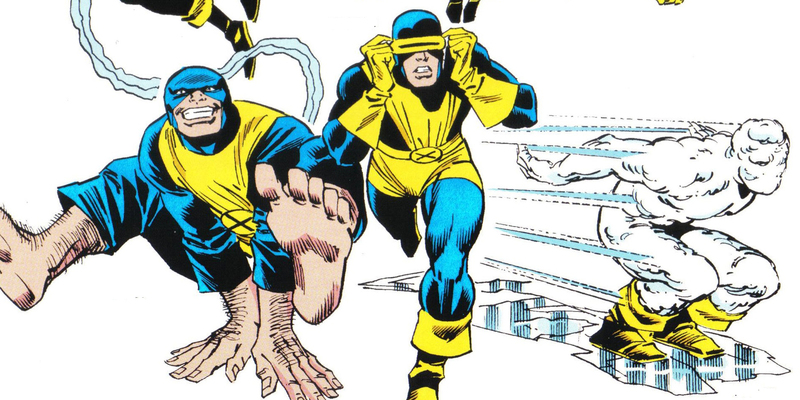 Cyclops was the first, followed by Iceman, then Angel, and finally, Beast. After his parents are kidnapped, Scott Summers is sent to live in an orphanage. He runs away at the age of sixteen after his powers start to develop randomly. During his time on the streets, he falls in with a fellow mutant named Jack O' Diamonds, who tries to convince Summers to use his powers to commit crimes. It was at this point that Professor Xavier finally found Summers with Cerebro. After Summers defeats Jack O' Diamonds, he becomes the first student to officially be enrolled at Xavier's School for Gifted Youngsters. He takes on the code name of Cyclops to use in missions. This was considered canon for a long time, but the details have changed on numerous occasions. It has since been established that Xavier worked with Jean Grey for years before she officially joined the team. There was also a mutant named Sage, who Xavier originally wanted to become a member of the first team of X-Men. She was sent away to infiltrate the Hellfire Club instead. Storm and Amelia Voght were also quasi-members of the team before it was formed.